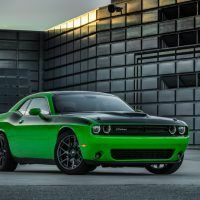 The Dodge Challenger T/A returns for 2017 and we cannot stop smiling from ear to ear! The T/A moniker is derived from the iconic Challengers that competed in the SCCA Trans-Am racing series beginning in 1970. Starting this October, customers can order their Challenger T/A in three flavors: T/A, T/A Plus, and T/A 392. All three T/A models receive a new hood with a large center scoop. 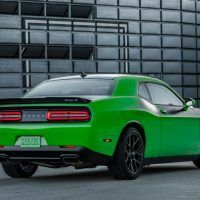 A satin black painted hood, roof, decklid, rear spoiler, body-side stripes, and fuel door further differentiate the T/A models from other Challengers. Like the Challenger Hellcat, the T/A features a similar ram-air intake. It channels air into the engine via a conical Mopar air filter and through a hole in the inner headlight housing. 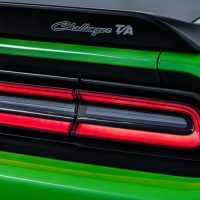 In the 2016 Challenger Hellcat, this airflow design is only used on the left side, but in the T/A, both inboard lamps channel air into the engine. Challenger enthusiasts will be able to differentiate the T/A from other models by the LED-illuminated T/A logos within the openings. 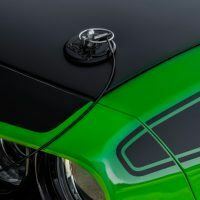 For additional retro points, T/A customers can order their Challengers with old-school hood pins. In addition to the dual air intakes, Dodge also equips each T/A with a standard performance exhaust system. 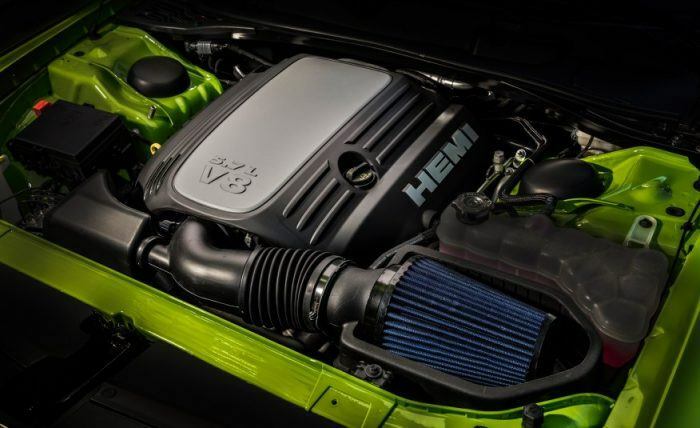 Despite dual intakes and performance exhaust, Challenger T/A and T/A Plus models with the 5.7 L HEMI V8 produce the same 375 horsepower as the Challenger RT. The top-of-the-range T/A 392 with the 6.4 L HEMI V8 produces 485 horsepower, the same as the Challenger 392. Standard transmission on all T/A models is a six-speed manual but an eight-speed automatic is optional. All 2017 Challenger T/A models benefit from Dodge’s Super Track Pak. 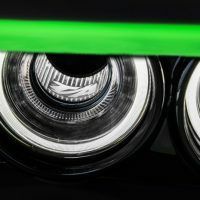 This standard kit includes Bilstein shocks, sticky tires, high-performance brake lines, three-mode stability control (can be disabled), and a suspension that lowers the car slightly (0.5 inches). 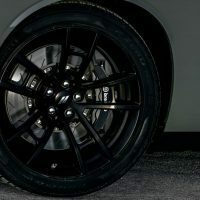 T/A and T/A Plus models are fitted with 20 x 9-inch, 12-spoke forged-aluminum, black Mopar wheels, and wrapped with Goodyear Eagle F1 tires. T/A 392 models are fitted with black, 20 x 9.5-inch forged-aluminum wheels, and wrapped with Pirelli three-season performance tires. 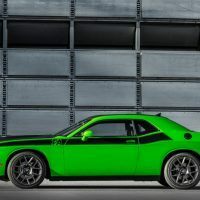 Challenger T/A 392 models receive large, vented front brakes with six-piston Brembo front calipers and four-piston rear calipers, plus specific suspension geometry calibration. Inside, the base 2017 Dodge Challenger T/A features front seat inserts, covered in retro-looking houndstooth cloth. 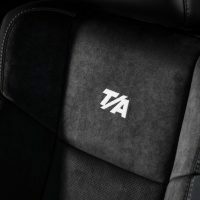 T/A Plus models replace the cool houndstooth seats with a pair of heated and ventilated leather buckets. 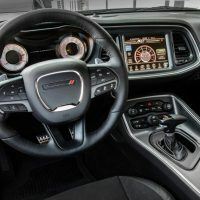 T/A Plus models are also fitted with a power tilt and telescoping leather-wrapped steering wheel, an upgraded stereo, and the latest Uconnect infotainment system with Apple Carplay and Android Auto compatibility. Every optional interior feature on the T/A Plus is standard on the Challenger T/A 392. Customers can start submitting their order for the 2017 Dodge Challenger T/A in October. The base T/A is priced at $38,485, the mid-level T/A Plus starts at $41,235, and the range topping T/A 392 can be yours for $45,090. The Challenger 392 may also be slapped with the gas guzzler tax, but the amount has not been finalized. To continue the retro vibe, the Challenger T/A will be available in a handful of nostalgic paint schemes like Green Go and Yellow Jacket. 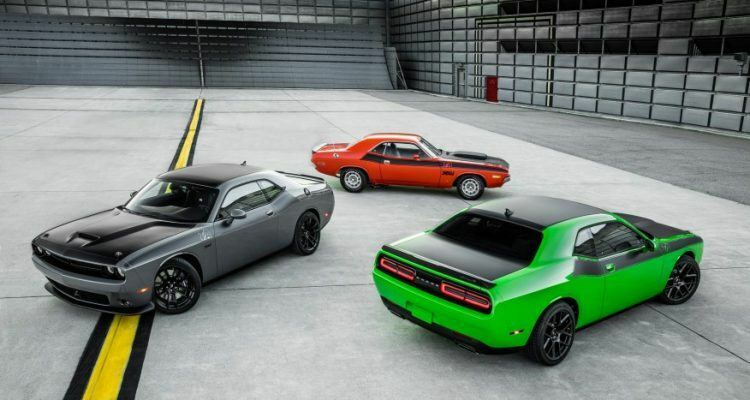 3 Comments on "First Look: 2017 Dodge Challenger T/A"
I owned a Challeger T/A back in the 70’s. For the technology of the day, handling was extraordinary. 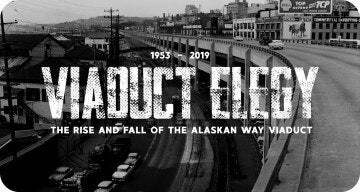 It took curve’s like it was on rails. The 340 cubic inch was insanely over-carbureted with the 3 Holley two barrels. Side exhausts were great looking but it was sometimes hard to get over parking lot speed bumps. The fiberglass hood had a very distinct raised air inlet, and only hood pins held the hood down (no hood latch!). The new T/A looks nice, but putting the AAR Cuda-style hood on the new T/A is a retro miss……just doesn’t look right. The black roof, and black trunk is a retro miss as well. The T/A blacked out hood was a direct spin off of the Trans Am race car, to cut glare to the race car driver. I am hopeful it will sell well for Dodge, but clearly not authentic from a paint scheme standpoint. So people don’t think I’m a “hater”, I own a 1970 AAR Cuda, and a late model Dodge Challenger. Thank you for sharing Wendell and thank you for reading! No, we don’t think you are a hater either. Would be cool to have seen your Challenger T/A back in the day!